I got the opportunity to talk with The San Diego Union Tribune about the rising costs of apartments in Downtown San Diego. With many new developments comes competition to gain tenants, but the high rents are not drawing in as many renters. Apartment complexes have started to offer concessions to draw in new tenants. I believe the high pricing is a step into drawing in new tenants. It is easier to bring down prices than to raise them. It’s a starting point for these new developments and will help them to find the right asking price. To read more about this situation and the full article click here. Median home prices in San Diego have hit a new record high and prices may not be slowing down. I spoke with the San Diego Union Tribune about this trend in home prices and what it may mean for potential home buyers. The market is very competitive now, and buyers need to be prepared to present their best offer if they are very interested in a particular home. Read more about this topic at San Diego Union Tribune. The San Diego County median home price was $529,000 in January, down by $11,000 since December, said real estate tracker CoreLogic on Tuesday. The big picture: In a year, the median price increased 6.9 percent. San Diego County’s median home price hit an all-time high in June of $545,000. While January’s median is not far from the record, it might take a while to return to that level. How prices could change: Rising interest rates and other factors could slow the pace of home price increases in the coming year, some experts say. The rate for a 30-year fixed mortgage was 4.52 percent Tuesday, up from around 4 percent at the end of last year, said Mortgage News Daily. Mark Goldman, a real estate lecturer at San Diego State University, said he expected median price increases to slow as the market comes down from last year’s highs. The housing market reached new price peaks in 2017, shattering records left over from the 2005 housing boom. Home prices rose as the number of homes for sale continued to drop — even more so than previous years. Meanwhile, the number sales stayed about the same. Strong job growth, low unemployment and historically low-interest rates all contributed to rising prices, said Mark Goldman, finance and real estate lecturer at San Diego State University. The San Diego County median home price reached $515,000 in March, its highest point in a decade and a 7.7 percent increase in a year, real estate tracker CoreLogic reported Tuesday. Prices nationally, adjusted for seasonal variation, rose 5.2 percent in the 12 months ended in March, with the Pacific Northwest and West seeing the biggest gains. San Diego County’s median home price increased 6.2 percent , lower than the 6.4 percent increase in February and 6.9 percent in January. Los Angeles and Orange counties were up 6.5 percent, down from 6.8 percent in February and 6.9 percent in January. Mark Goldman, finance and real estate lecturer at San Diego State University, said a slower rate of appreciation is a good thing. He said price increases of 3.5 percent to 5 percent are more sustainable. Net migration sees bigger drop than in the past. San Diego County had a tough time keeping its residents — and attracting new ones — last year, according to updated population data being released today by the U.S. Census Bureau. Mark Goldman, a loan officer and real-estate lecturer at San Diego State University, said this could have a negative impact on businesses looking to fill positions with recruits from outside the county. “(Employees) may not be able to enjoy the lifestyle that they could at a different job, even at a lower wage, because housing and the cost of living is so high here,” Goldman said. 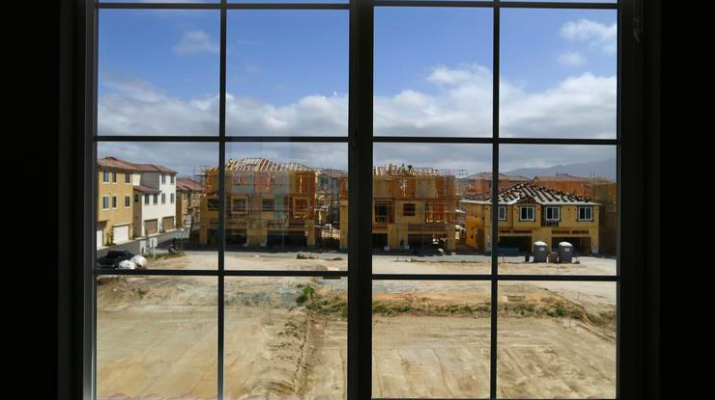 However, Goldman said San Diego’s cost of housing and its unusually negative net domestic migration might not be a cause for concern yet, especially when the number is put into context with the county’s total population of nearly 3.3 million.